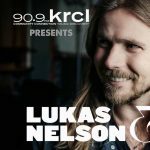 Since forming 10 years ago, the buzz surrounding Lukas Nelson & Promise of the Real has been quietly intensifying. During that time, the 28-year old singer/songwriter/guitarist and his bandmates have played hundreds of shows and major festivals all over the world and built a devoted underground following. Lukas' profile continued to rise when he contributed three songs and heavenly vocals to his dad Willie Nelson's 2012 album, Heroes, their voices blending with potent DNA. Then two years later, life took another turn skyward when Neil Young decided to make Promise of the Real his touring and studio band. Young has guided the grateful young musicians ever since as they've backed the legend on tour around the world and on his two most recent albums.